ProFlex is a gym located off Ozumba Mbadiwe in Victoria Island, Lagos. As gyms go, Proflex is a well maintained and equiped one. The personal trainers are professional and go about their work encouraging and motivating their members happily. ProFlex 's equipment are in good quantity enough to go round ensuring you dont have long waits inbetween your work out routine. 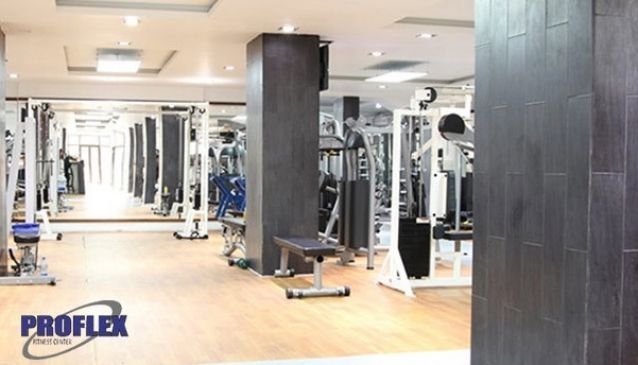 The gym is ideally suited for both professional and amateurs alike who can stay in shape at ProFlex with work out routines if they don't want to make the jouney to the National Stadium in Surulere. You can find a spa to relax after your work out session or find a restaurant to replenish strength.